Built specifically to illuminate a wide range of applications, LIVESUN is the world’s most versatile and compact LED solar lighting system. Its clever design and slim-line construction incorporates the latest solar power technology, providing many years of outstanding performance and operational reliability. Our leading technology is what makes every Leadsun product unique. It’s our constant focus on innovation and quality that makes Leadsun distinct from any other solar lighting company. Livesun has been designed to withstand the harshest and most extreme environments Australia has to offer – from blistering heat to driving rain, hail and sub-zero temperatures. Whatever the environment is, Leadsun’s rugged construction is up for the challenge. Its internal components offer IP65 weather protection and its external components are built with marine grade aluminium and stainless steel fixings. Livesun uses LEADSUN’S advanced patented ‘All-In-One’ system that fully integrates a highly efficient solar panel, compact Lithium-ion LifeP04 batteries and a smart power management system into a compact, easy to install product. Importantly, the ‘All-in-One’ design eliminates the need for external wiring to remote battery packs and light heads meaning installation can be carried out without a specialist contractor. The LIVESUN series has a built-in motion detection security feature that automatically regulates the LED light output from full brightness to a lower level depending upon the detection of movement around the light. This fluctuation of lighting intensity preserves battery power and also serves to increase community security by deterring unsociable activity late at night and early in the morning where these lights are installed. “Smart Eye” is a user-defined setting that can be configured to control the LED output in various modes. Leadsun capitalises on the most technically advanced LED lighting technologies that work seamlessly and systematically with our latest LED driver and power management system. Our newly designed LED lens features a variety of lighting distributions and power options ranging from 5W – 16W output. 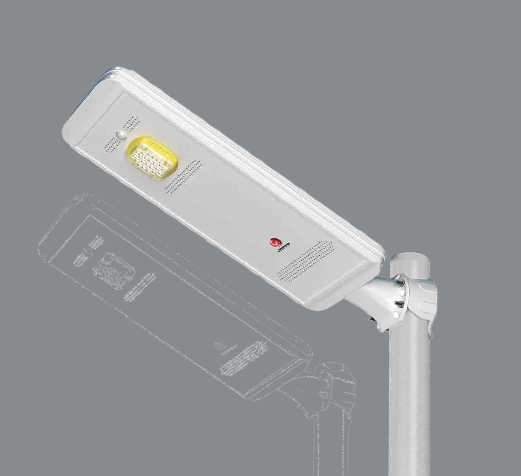 For instance, our symmetrical LED light head is perfectly suited for pedestrian pathway lighting applications as it minimises spill light in front and behind the light fitting. the smart choice for our precious environment. LEADSUN’s batteries are charged for maximum efficiency using our integrated charging circuit that constantly monitors the state of the batteries to optimise the charging levels while protecting them against overload, over-charge, over-discharge and accidental short circuit. The batteries can operate in temperatures from -20 degrees to +60 degrees Celsius. An important benefit of the LIVESUN ‘All-In-One’ solar light is its ability to preserve battery autonomy for maximum reliability even in overcast weather conditions. The intelligent operating profiles that can be programmed into the system allows for a change in illumination levels throughout the night*; with the addition of the ‘Smart-eye’ motion sensor, illumination levels will self regulate upon detection of movement throughout evening which further improves battery autonomy.